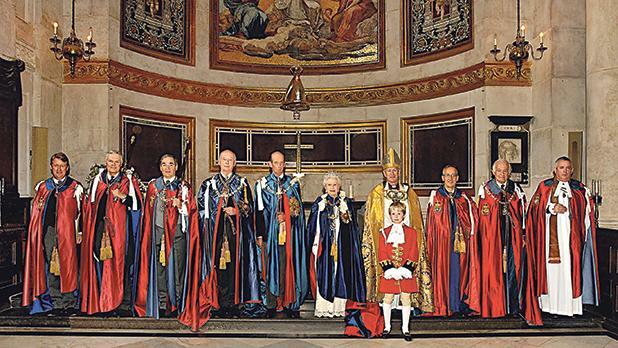 An exhibition is marking the bicentenary of a symbolic event in Maltese and British history: the foundation of the Most Distinguished Order of St Michael and St George. 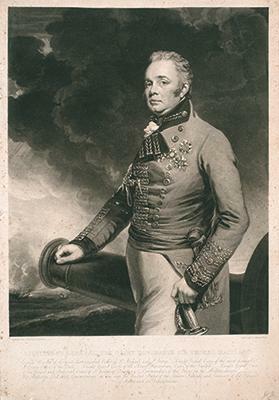 Established in Malta and Corfu in December 1818 by Sir Thomas Maitland, the first governor of Malta, at the height of the British Regency period, this order of chivalry was originally awarded to those holding commands or high position in the Mediterranean territories acquired in the Napoleonic Wars. It was subsequently extended to holders of similar office or position in other territories of the British Empire. Nowadays, it is awarded to men and women of high office or who render extra-ordinary or important non-military service in a foreign country. The Order today consists of the Sovereign (Queen Elizabeth II), a Grand Master (the Duke of Kent) and includes three classes: Knights and Dames Grand Cross, Knights and Dames Commander and Companions. Ninety-four Maltese have been admitted to the Order over the years. The first Maltese dignitaries to be knighted were Giuseppe Borg Olivier, the president of the High Court of Appeal; Raffaele Crispino, a member of the Supreme Council of Justice; and Dr Giuseppe Nicolò Zamitt, one of King George IV’s judges. The last to be appointed was Colonel Victor Vella in 1960. However, since then, there have been a number of honorary ap-pointments. The late former President Guido de Marco received the dignity of Grand Cross from Queen Elizabeth in 2000. More recently, during her visit to Malta in 2015 for the Commonwealth Heads of Government Meeting, the Queen offered President Marie-Louise Coleiro Preca an Honorary Knight Grand Cross (GCMG) and an honorary Knight Commander (KCMG) to Prime Minister Joseph Muscat. The exhibition, being held at the Malta Postal Museum, highlights the contribution made by Maltese and British subjects employed in the Mediterranean. 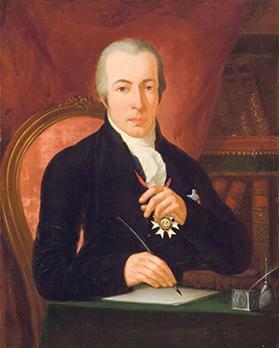 Among the exhibits are portraits of Sir Thomas Maitland and Sir Giuseppe Nicolò Zamitt; a contemporary companion badge for women as the Order was extended to women in 1965; and a Knight Grand Cross bullion breast star dated to circa 1837. 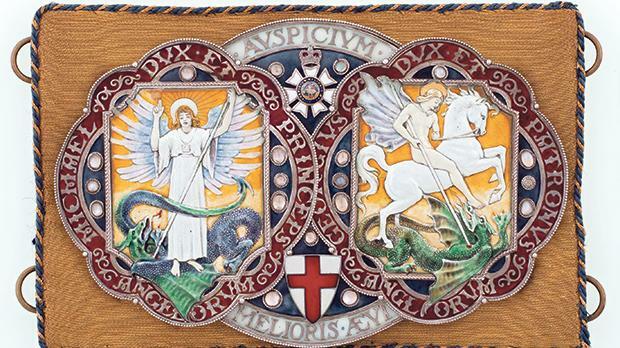 The exhibition also includes some significant artefacts linked to the religious basis of the Order, which was endorsed by the establishment of a chapel in St Paul’s Cathedral, London, in 1906. A series of public lectures, held in collaboration with the Malta Historical Society, are being held over the duration of the exhibition. On Friday, exhibition curator Christopher Grech will give a brief overview of the history of the Order and, on November 15, Theresa Vella will discuss Charles Frederick de Brocktorff’s paintings in terms of their content, highlighting the Hall of St Michael and St George’s new aesthetic as designed by George Whitmore. On November 22, Mr Grech will tell the stories behind some of the principal artefacts on display, while professor Edward Warrington will examine the life and work of Sir Harry Charles Luke, KCMG, on November 29. 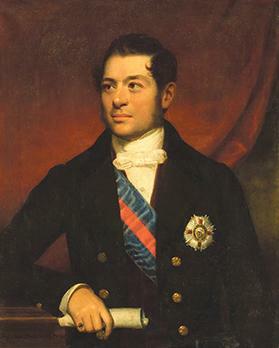 Sir Harry was one of the most cultivated members of the Order and as lieutenant governor of Malta, he both challenged the rising nationalism and persuaded Britain to recognise Maltese as an official language. All lectures are being held at the Malta Postal Museum, Valletta, at 6.30pm. The Order of St Michael and St George in Malta, 1818-2018 runs at the Malta Postal Museum at 135, Archbishop Street, Valletta, until December 6. Opening times: Monday to Friday from 10am to 4pm and on Saturday from 10am to 2pm. Admission is free. The exhibition is organised on behalf of the Central Chancery of the Orders of Knighthood, UK, supported by HSBC Malta, De La Rue Malta, Island Insurance Brokers, ReCoop Ltd and Heritage Malta.